Discount Magic - Two Card Monte - Bicycle. No sleight of hand involved. Perform it nearly immediately after opening the package! Made with Bicycle cards. 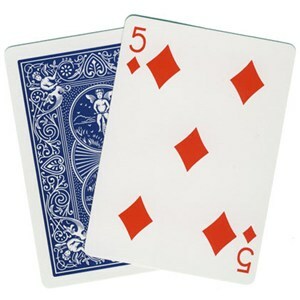 Two Card Monte - Bicycle You show two cards, then conceal one. The spectator can never guess which card remains. Here is an easy to do version of an old gambling trick.